Kelley and Michael's Proposal on HowTheyAsked.com! We had met once briefly before, but it wasn’t until a weekend trip to Ocean City for Labor Day 2011 where we finally noticed one another and hit it off. Following that weekend, we went on several dates over the next few weeks. We both knew within the first few weeks that there was something special about the other person. Unfortunately, I was planning to move to Nashville a month after our Ocean City vacation. I thought for sure that the relationship would end after a short amount of time of me being 10.5 hours away. To my surprise, however, we spoke every single day. In November, he came to visit me in Nashville. I’ll never forget the evening during that trip when we went to dinner at a restaurant in the Gaylord Opryland hotel and he said, “Well, I’m in love with you. So we are going to have to figure this thing out.” I guess you could say the rest was history…Michael came to Nashville in May to help me pack up the Uhaul and load my car on the back of it and drove me (and my dog, Sadie) back to DC. A year and a half later, we moved into our first apartment together. In January 2014, I left my job in catering and event planning to go back to school for nursing. Michael was so supportive all along. He loves to cook (I’m a lucky girl!) and made sure I had dinner every night. He listened to me when I was overwhelmed with school work and studying and encouraged me every step of the way. After finishing my prerequisites, I was in an intense, full-time Accelerated BSN program that significantly impacted the amount of time we could spend together. He never blinked an eye. He just continued to support me and remind me how proud of me he was for pursuing a career that made me feel fulfilled and that I was passionate about. We have been together for 4.5 years and we attending 18 of our friends’ weddings in 2014 and 2015, so we would get the “When are you two getting married? !” question pretty much all the time. He always said, “When she finishes school,” or something along those lines. With both of our sets of parents coming in town for my graduation on May 15, I thought that perhaps it could happen then. If not, then maybe it would happen over the summer sometime. I was so busy trying to finish up school though, that I didn’t think much about it. 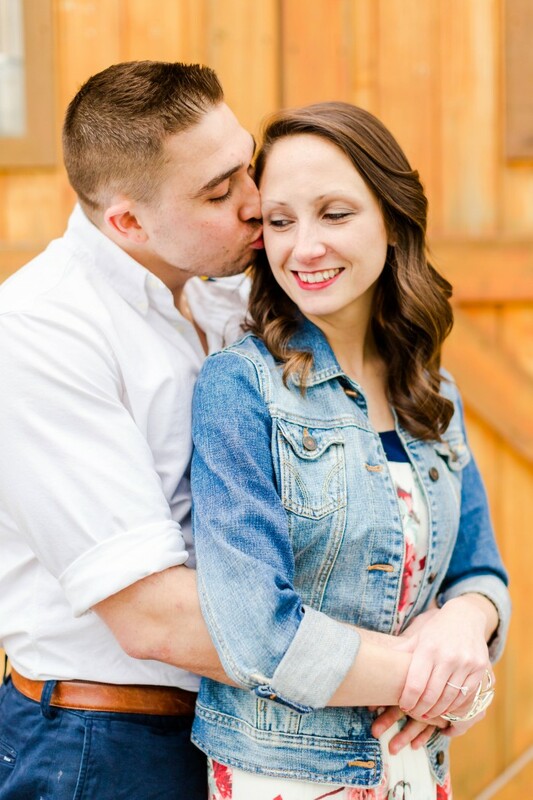 He told me a couple months prior to the proposal that he wanted to celebrate my graduation just the two of us the weekend before, since he knew that graduation weekend would be busy and hectic with both our families here and all the festivities. I knew he meant business when he added it to our calendar, so I made sure not to plan anything for that day. I had a fleeting thought that he might propose that weekend, but I truly assumed that if he was going to do it this close to me finishing school, it would be graduation weekend with our families there. 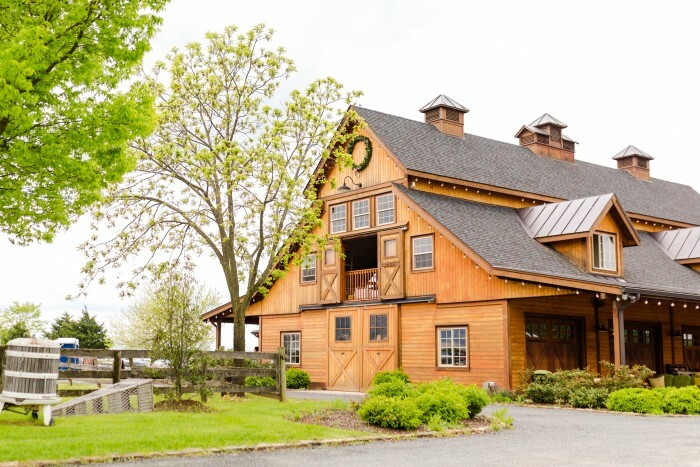 On May 7, the weekend before my graduation, he took me to Stone Tower Winery in Leesburg, VA, a winery that I have worked at several times in the last year, as I still do some events with a catering company that is there frequently. I guess he had overheard me mention how beautiful I thought the winery is and decided that would be a good place to do it. All morning he was acting so weird — I remember saying, “What is wrong with you?! You are so jittery and you’re making me nervous!! 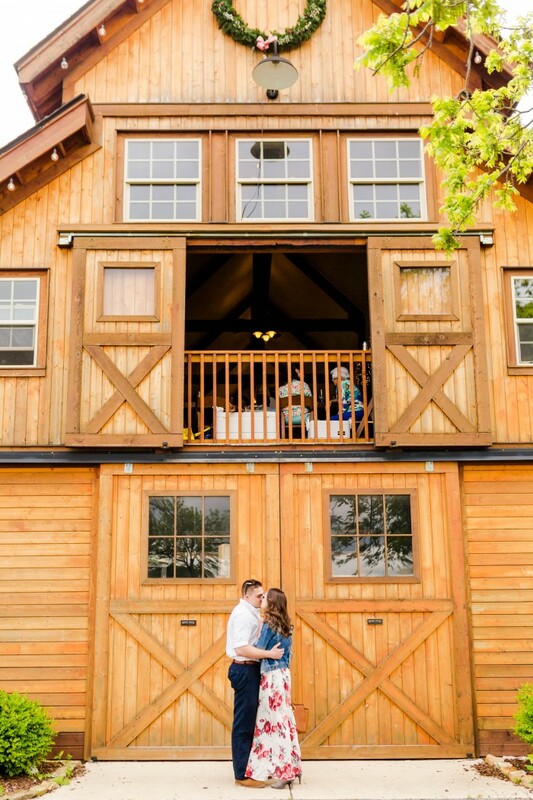 !” Little did I know that our trip to the winery was not just the day-date to celebrate my graduation that I thought! 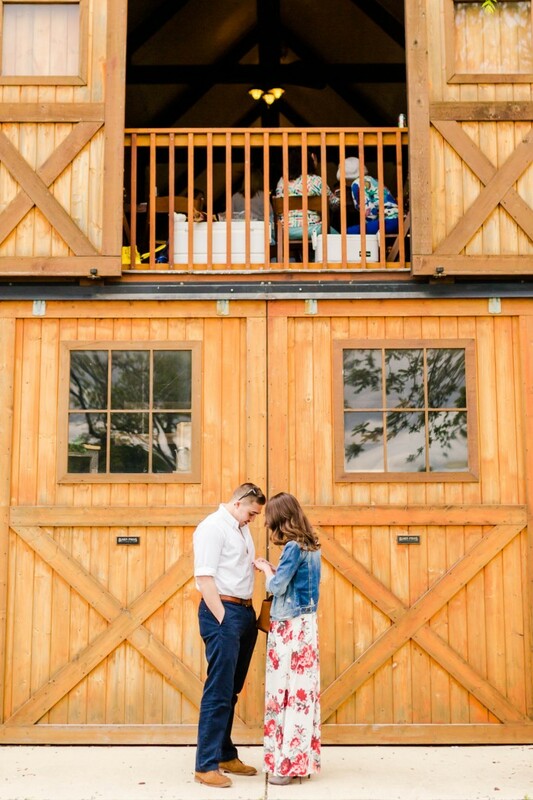 Almost immediately after we got out of the car, he walked me in front of this beautiful barn door and said something along the lines of, “I know you have been waiting a long time and I have always said when you finish school…” That was all I remember before I realized he was on a knee with a tiny box in his hand and asking me to marry him. After several, “Are you sure”-s that alternated with lots of hugs and kisses and perhaps a few years, I said, “WELL OF COURSE!” Then, he told me to smile for the camera because he had hired the wonderful Emily Sacra Photography — someone I had connected one of his friends to over the summer when he was proposing. 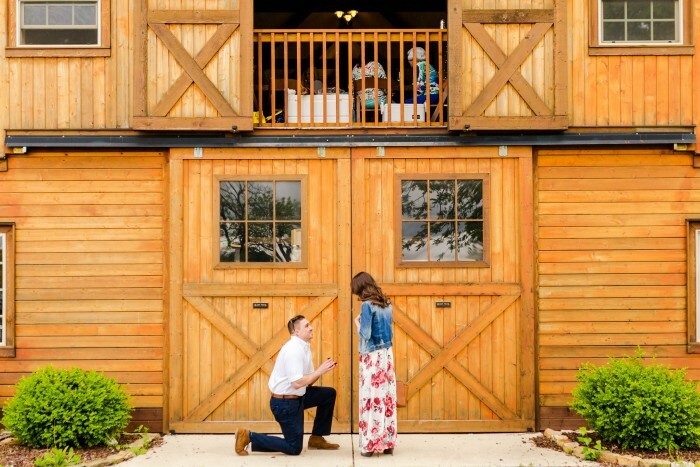 Apparently at some point in the last 4.5 years I had mentioned how I thought it was such a great idea to have a professional photographer at the proposal so you get some great photos — I don’t even recall saying this! He even went out to the winery during work one day a couple months before to meet with Emily and choose the perfect spot. So sneaky! He had also reached out to my younger brother, currently stationed in Germany with the Army, my dad, and my mom to ask permission from all three of them! I especially melted knowing he talked to my brother, since he and I are very close — it meant a lot to me that he did that! 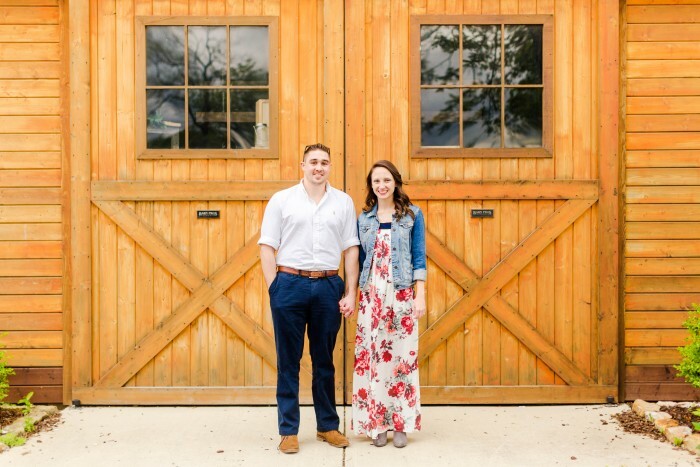 After taking some photos with Emily, we enjoyed a tasting and spent time together at the winery and I was so glad that it was just the two of us in that moment. Later that afternoon, he told me that we were going to meet my best friend at a bar to watch the Washington Capitals playoff game. As if I needed any more surprises in one day, I walked into the bar and 30-40 of our closest friends yelled “SURPRISE! !” at me. I was shocked. 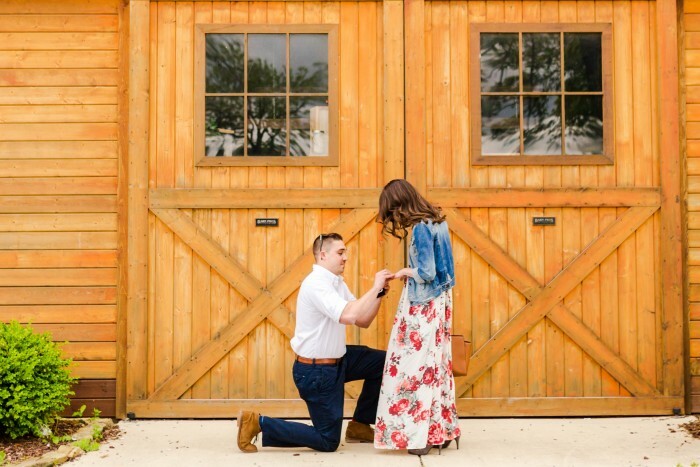 I was even more shocked when they started screaming at me as they saw the ring — they thought they were there for a surprise graduation party, so they were just as surprised as I was when they saw we had gotten engaged! Currently I am studying for my NCLEX licensure exam for nursing, which I will take in June. I am doing my best to hold off on wedding planning until after that, but it’s hard! 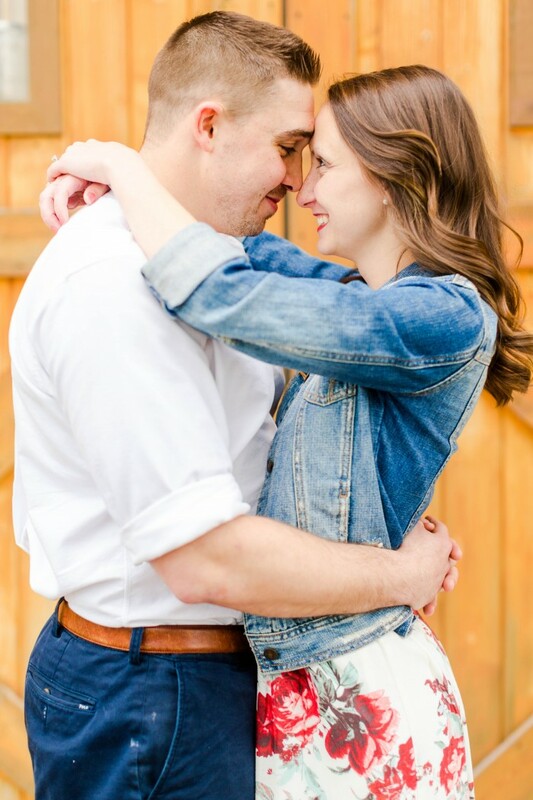 Luckily for me, I have worked in the wedding industry for several years and am still in touch with many of my favorite vendors, so I know a lot of the people that I will hire :) I feel like the luckiest girl in the world and I am excited to spend the rest of my life with Michael and to celebrate with our closest friends and family!